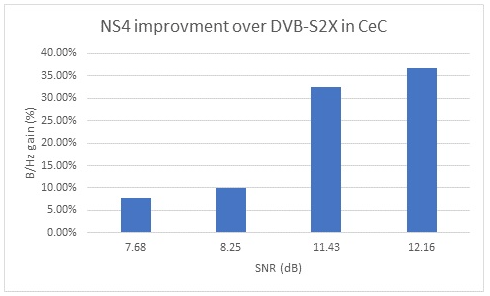 Recent independent testing, confirmed by NovelSat, provider of satellite transmission technology, revealed that new enhancements to the NovelSat NS4 satellite transmission waveform have further increased its efficiency edge over the DVB-S2X standard. Head-to-head comparison tests performed by a large teleport in the UK show that NovelSat NS4 performs up to 32 percent more efficiently compared with DVB-S2X. That translates into more data and video transfer per MHz of bandwidth for satellite communications providers, especially in saturated environments. Live field tests were performed over a 36MHz transponder on both linear (non-saturated) and non-linear (saturated) links. 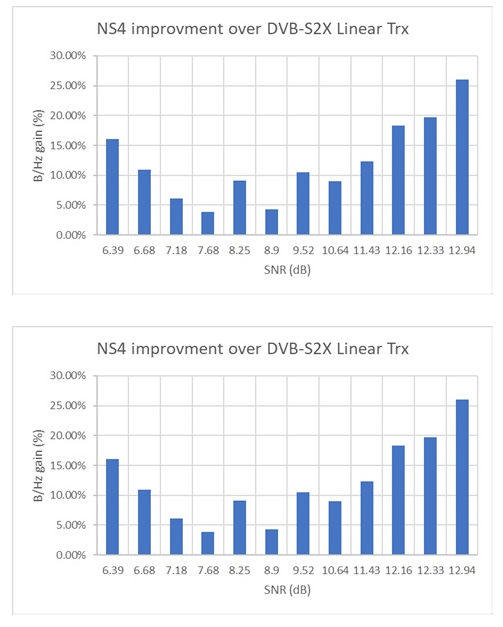 While NovelSat NS4 showed a 22 percent boost in efficiency, compared with DB-S2X, over linear links, the results over non-linear links far outstripped previous results, at up to 32 percent better than DVB-S2X. The enhancements that NovelSat has made to its NovelSat NS4 waveform set the stage for the company to break the satellite transmission bandwidth efficiency record that it had set with the previous version of NovelSat NS4 (which performed up to 22 percent better than DVB-S2X). The field tests also included linear bi-directional links supported by NovelSat DUET CeC (carrier-echo-cancellation) software-based Band Reuse Technology. NovelSat DUET CeC doubles the effective data rate over the same transponder segment by enabling simultaneous full duplex video, data, and voice communication using the same bandwidth for both uplink and downlink. The results of these bi-directional tests rendered an impressive 37 percent advantage over DVB-S2X on the same links. Itzik Wulkan, NovelSat CEO said that their engineers are on a constant quest to break the satellite transmission efficiency records that they have consistently set over the last seven years. Their broadcast and data transmission customers are constantly increasing the load on their satellite links. With these new enhancements to NovelSat NS4, their clients will transmit even more data and video without increasing their budget of expensive satellite bandwidth.